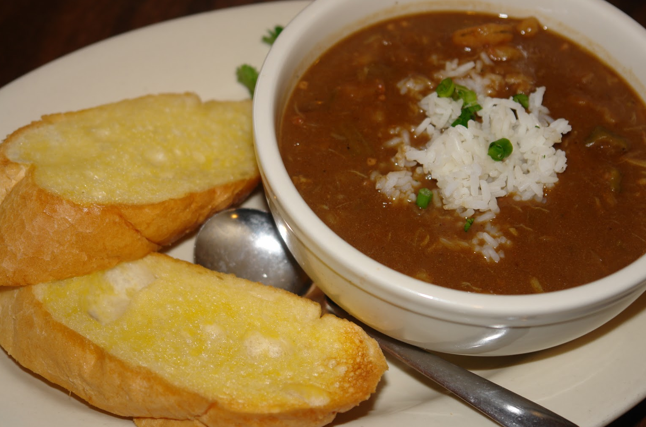 In this weather who doesn’t crave a good gumbo recipe? Depend on Passanante’s Home Food Services to deliver delicious meats directly to your home so you can whip up awesome recipes like this one we found right in the heart of Cajun Country – New Orleans, Louisiana! Remove skin from chicken thighs, clean and pat dry. Season with cajun seasoning. Heat oil inlarge heavy pot. Sear chicken; remove and set aside. Make roux by adding flour to hot oil in pot. stir constantly over medium high heat till medium brown. Stir onion, bell pepper,and celery into roux; cook until tender. Return chicken to pot and add Tabasco, Worcestershire, bay leaves, cajun seasoning and water. Cover and allow to simmer one hour. Add green onions, garlic and sausage. stir, cover and simmer another hour. Remove all thigh bones from gumbo. Skim off excess oil. Serve in bowls over hot rice with warm French bread and filé powder. This entry was posted in Passanante's, Recipes and tagged Chicken Thigh, File Powder, Food Delivery Service, Gumbo, Organic Food Delivery, Passanante's Home Food Service, Pork Sausage, Recipe by Passanante's Home Food Service. Bookmark the permalink.